Popular trends right now include cherry or painted cabinets with granite or quartz counter tops. Stainless steel appliances and hardware continue to sell very well. Large single bowl sinks make washing pots and pans much easier. Many people are mixing different styles and colors in the same kitchen by doing things like contrasting the island to the wall cabinets. This can make the island stand out as a separate piece of furniture. With so many options available, the most important thing in making design choices is to be sure that your kitchen will be a good fit for your own tastes and for the general feel of your home. The Modern or Contemporary look is moving outward from the urban areas and is becoming much more common here in New England. Modern kitchens are characterized by sleek appliances and simple cabinets. Slim handles, straight lines and lack of intricacy all highlight the clean modern kitchen. The Tuscan look features ornate flourishes such as corbels and split posts. These decorative aspects can give your kitchen a rich and formal feel. 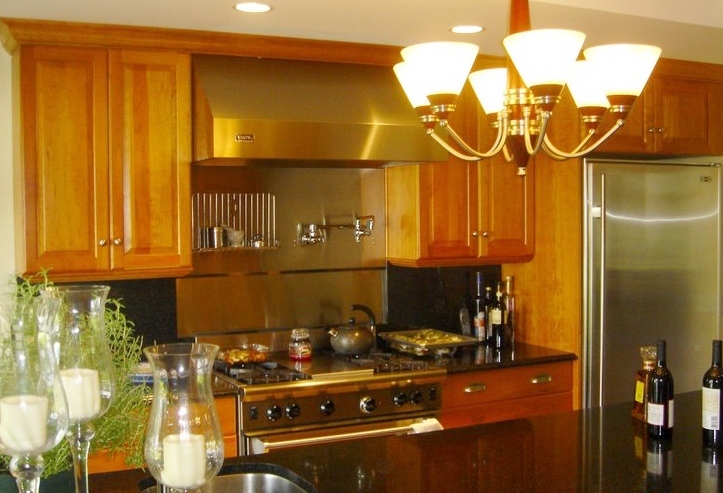 Decorative wood hoods above the cooking surface are often a beautiful focal point in the room. The Traditional or Classic New England styles have always been a local favorite. 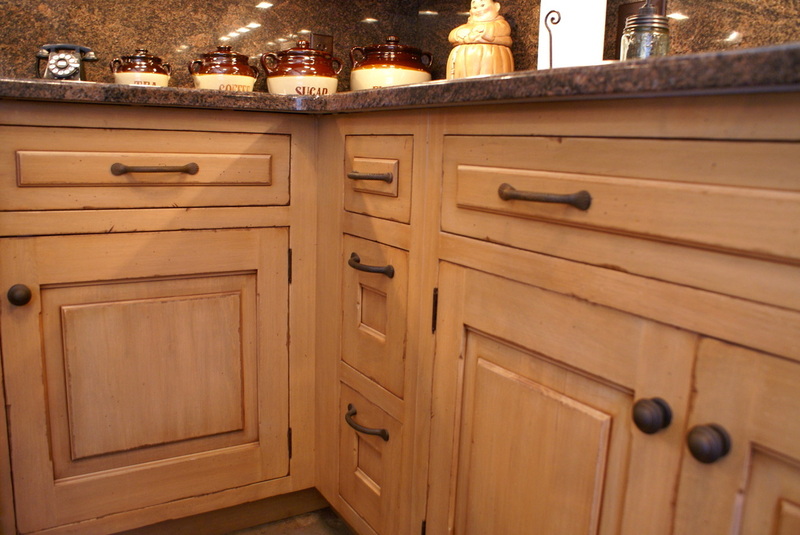 Featuring raised or recessed panel doors, this kitchen is timeless in its appeal. 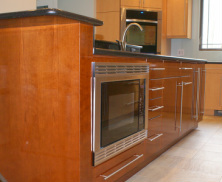 Cherry wood is an especially popular and handsome choice for the classic kitchen. The Antique or Distressed style is great for folks who love that old farmhouse look. Here in New England we have many old homes, some of them dating as far back as 1750. In order to preserve the character and charm of these historical sites many choose authentic looking antique cabinets. 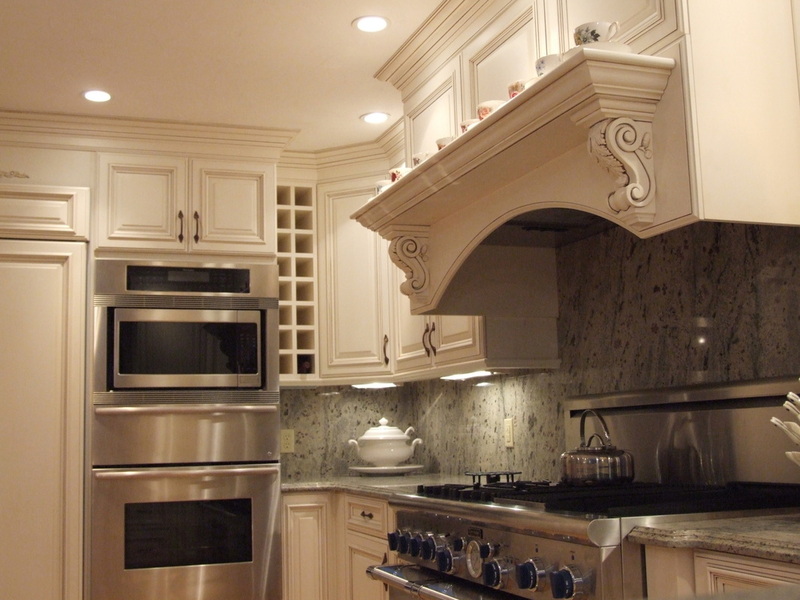 Islands are being used in almost every kitchen that can accommodate them. They often improve both the look and the functionality of your kitchen. They are great at providing a space that can be used for both seating and food preparation. They also provide extra storage space in a convenient location. This valuable counter space often becomes the main work surface in the kitchen. Kitchen traffic flow can also be improved by allowing people to walk behind the island without interrupting the work area.